So glad he won! Thanks. Wonder where he goes next? tachyon wrote: ''Uma Musume'' now gets a lot of supports even from core racing fans as the anime is mostly based on historical events and trivias. This is great! I will watch them all later, just looked at the Derby comparison hehe! Squeaky wrote: So glad he won! Thanks. Wonder where he goes next? 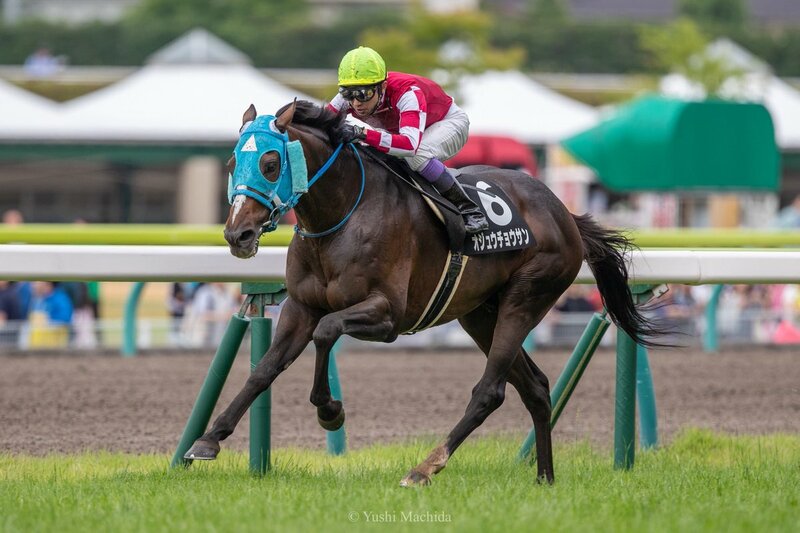 Le Vent Se Leve is likely to run next in the Jpn1 Japan Dirt Derby 2000m at Ohi Rcecorse July 11th for a rematch with the Henny Hughes colt Don Fortis. 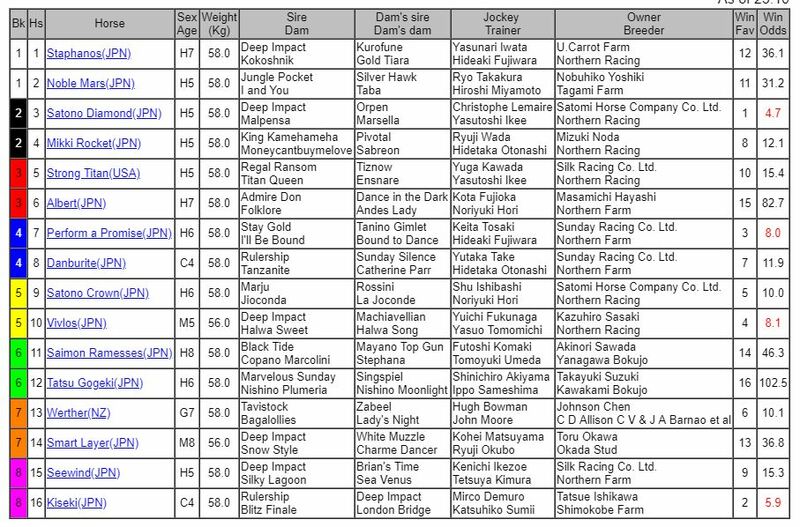 tachyon wrote: Go for the Summit(JPN)[C3 Heart's Cry(JPN) x Luxury(USA) by Storm Cat(USA)], G2 Aoba Sho winner & 7th in the Tokyo Yushun, will ship to the US to run in the Belmont Derby Invitational on July 7th. Now that's a horse that could win by a neck. . .
Ugh, Go for the Summit has been withdrawn from the Belmont Derby Invitational, as the cargo company Nippon Cargo Airlines suspended flights due to maintenance discrepancies. That's a shame... and I suppose it's too late to arrange for another carrier? Takarazuka Kinen day!!! So many favorites I'll probly have to wait until the paddock to choose who to cheer on. Mikki Rocket(JPN), 2013H. King Kamehameha(JPN) x Moneycantbuymelove(IRE) by Pivotal(GB), captured his first G1 title in the all-star Takarazuka Kinen 2200m turf at Hanshin on June 24th 2018. His jockey Ryuji Wada scored his first G1 vicotry in 17 years since the 2001 Tenno Sho (Spring) with the champion T.M. Opera O(JPN). 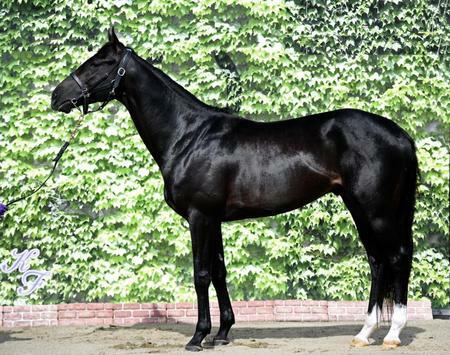 I was impressed by the Hong Kong raider Werther(NZ), too!!! Wow Mikki Rocket got a perfect trip, held on for a heck of a finish! I really thought Werther was going to catch him... Vivlos was right there too, if she hadn't gotten bunched up with the Satonos mid-pack and had to go wide she might have been closer. Satono Diamond kicked free but couldn't sustain his run. I hope Werther comes back for more races, he's definitely one to watch!! Full replay of Jumps superstar OJU CHOSAN winning for the first time on the flat. Last raced on the flat in Nov 2013. Won past 9 straight Jumps races 5x G1s and US$5mil+ Jumping in between flat runs! 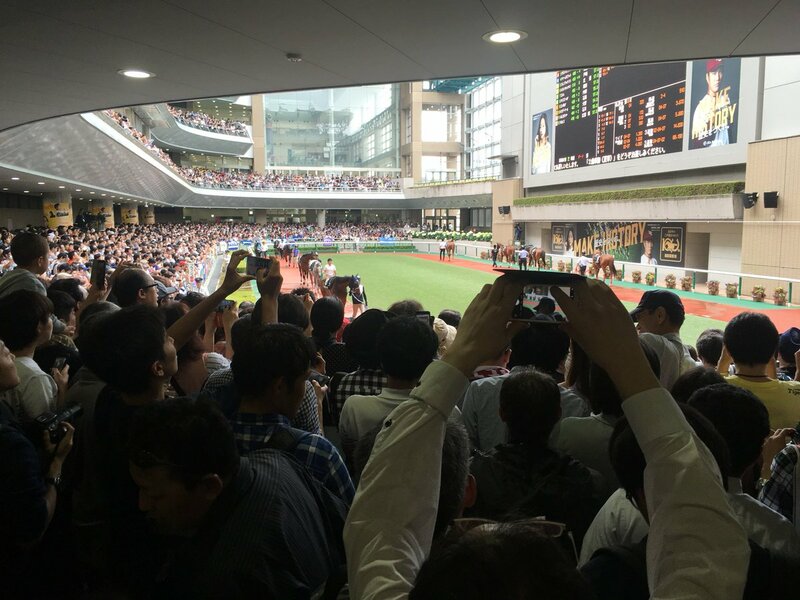 The crowd that came to see him run (in a 1-win, under $5m yen earnings conditions 2600m flat race)... !!! And he's seven!!! JRA top steeplechaser for 2016 & 2017!!!! I am running out of exclamation marks!!!! It looks like Japanese racing has found a new speed-star on the dirt sprint, as Matera Sky(USA)[2014C. Speightstown(USA) x Mostaqeleh(USA) by Rahy(USA)] won the G3 Procyon Stakes 1400m dirt at Chukyo on July 8th 2018. The US-bred colt broke the JRA record time by huge 1.2 second. The late-bloomer was fifth in the G1 Dubai Golden Shaheen in March. Le Vent Se Leve(JPN) won the Jpn1 Japan Dirt Derby!! He's certainly developed into a nice colt. Early favorite for the Japan Cup Dirt. That was a very sad news. Here's the replay of his JBC Classic (Jpn1) in 2016. According to France Galop, Clincher(JPN) (Deep Sky) has arrived safely at Chantilly this morning. Oju Chosan(JPN) is slated to run next in the Kujukuri Tokubetsu 2500m turf allowance Sep 22nd at Nakayama as a prep for the G1 Arima Kinen Dec 23rd at the same course and same distance. He received an offer for the French G1 Prix du Cadran (4000m turf flat) on Oct recently. 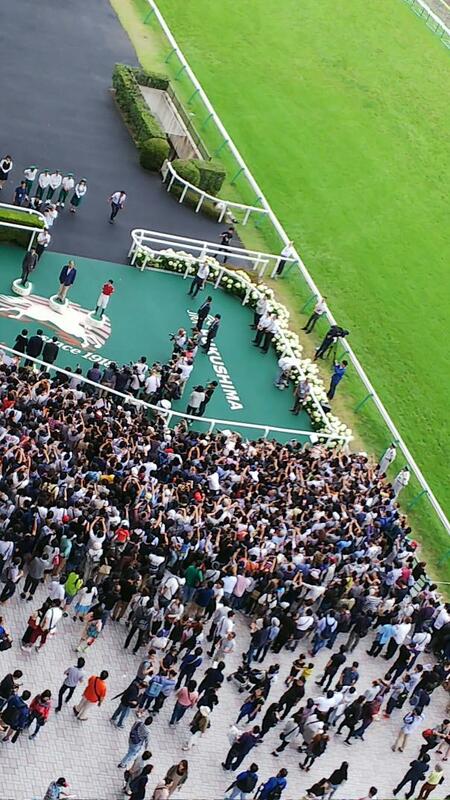 But his owner has declined it as he wants to keep the horse on course for the biggest all-star race in Japan. JRA has been making posters promoting big Japanese stars since Haiseiko (1970) regularly. 82 horses have been honored so far and the most recent (#82) is Oju Chosan. One may find all the Japan's heroes in the past in the link below.